OTTAWA - Two groups opposed to the possible purchase of the F-35 say the single-engine jet fighter would be too dangerous for the Canadian military to use over remote stretches of the country, particularly the Arctic. The Canadian Centre for Policy Alternatives and the Rideau Institute released a new report Monday that argues whatever jet replaces the country's CF-18s should have two engines. The study, by defence expert Michael Byers, follows a report months ago that questioned the enormous cost of the Lockheed Martin stealth fighter. Public Works Minister Diane Finley told the House of Commons on Monday there's been no decision on whether the government will stick with the controversial F-35 or proceed with a full competition. A market analysis, which looked at alternatives and was compiled by a panel of independent experts, is still being assessed. Defence insiders say the study does not make a specific recommendation for cabinet to consider, but rather lays out the capabilities of each aircraft and their availability. Byers argued Monday that cabinet needs to consider the safety aspect of operating a single-engine fighter and he compares the F-35 to the CF-104 Starfighter, which also had a single engine. The Starfighter was used by the air force for 26 years — from the 1960s to the 1980s — and was involved in crashes so often it was nicknamed "The Widow Maker" by pilots. Byers said about a quarter of the jet’s 110 crashes were attributed to bird strikes, which resulted in engine failure. A total of 39 pilots died flying the CF-104s. "We learned that lesson in 1980" when the Trudeau government chose the twin-engine CF-18, Byers said. "It seems now that the government may be forgetting that lesson. And I would not want the F-35 to be Canada's next widow maker." A spokeswoman for Finley dismissed the analysis Monday night. "Independent third party experts, with access to all of the real facts on this file, have worked to ensure that the reports prepared by DND are rigorous and impartial," said Alyson Queen. The debate over whether a single — or duel — engine fighter was appropriate given the country's vast geography has raged in fits and starts since the Harper government elected to pursue the F-35 in the summer of 2010. Government officials argued at the time there were no statistics that showed one type of aircraft was safer than the other, but Byers points to U.S. air force data that demonstrates single-engine jets have crashed more often. 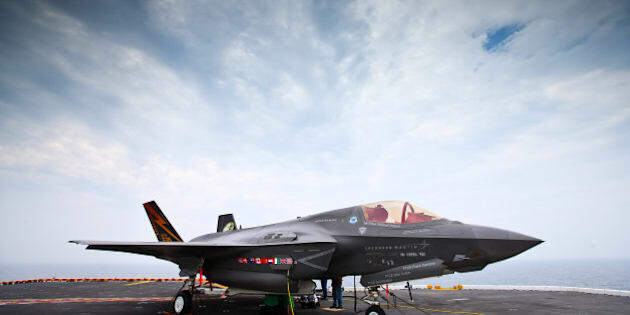 The manufacturer and the government have argued that improvements in technology have made the F-35's engine more reliable and safer than its predecessors — a notion Byers dismisses by pointing to incidents involving commercial airliners. "The single-engine versus twin-engine issue has not been resolved by improvements in the reliability of jet engines," the report said. "Engine failures will still occur, and when they do so away from an airport, a second engine is the only thing that can prevent a crash."